As a place with the most interesting and epic architecture, Barcelona has become a magnet for travelers longing for a big city with a twist of fun and a lot of leisure. 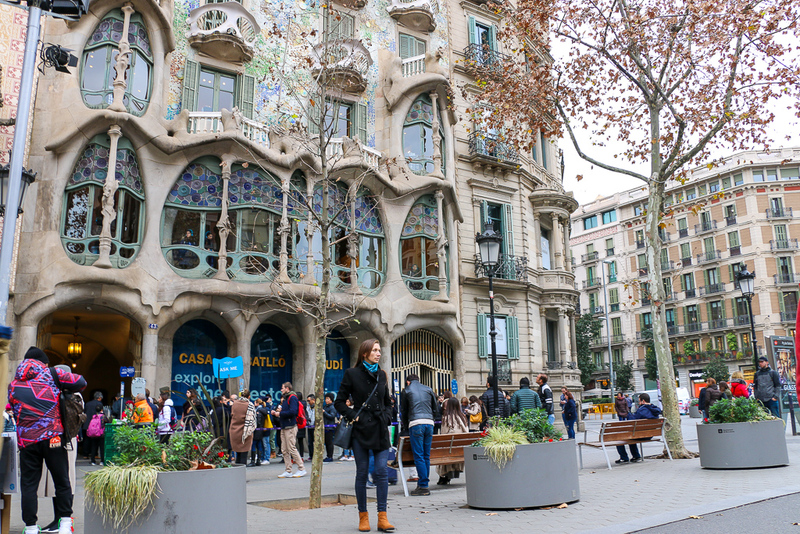 Vibrant, playful buildings, beaches near the center, and delicious Catalan cuisine make Barcelona especially irresistible. 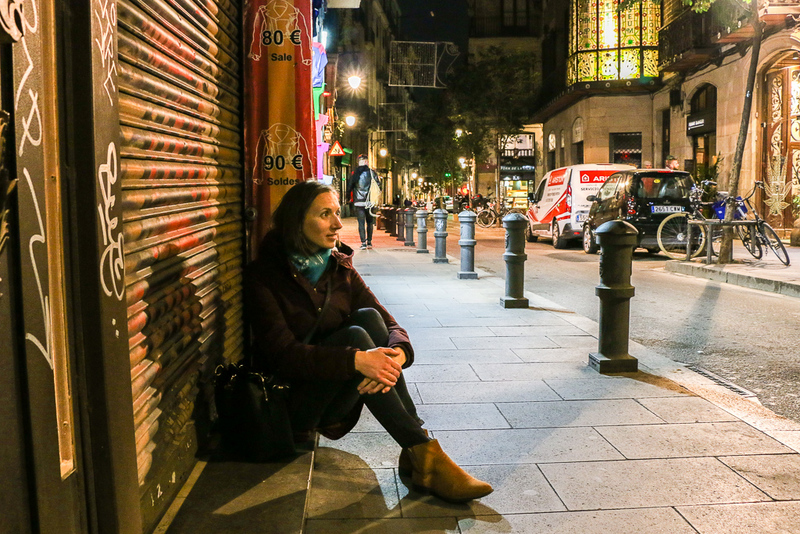 Once visiting Spain’s second biggest cities, you want to come back again and again. No exceptions here! And if it comes from a girl who just a few days ago didn’t have any expectations from Barcelona what so ever, you know if must be true. So if you’re putting this destination on your travel list, here’s a quick guide to Barcelona. Use it and you’ll feel like a local from the moment you get there. The most popular way to get to Barcelona is by air, arriving at Barcelona El-Prat Airport. The drive from the airport to the city takes approximately 50 minutes. If you arrive at the daytime and don’t carry too many suitcases, you are probably better off taking public transportation. The Aerobus, Barcelona Airport express shuttle bus, running from and to terminal 1 and 2, will take you to various locations in the center of Barcelona. Ticket prices range from 8 to 15 euros. Other options to get to the city include taking train or navigating your way through Barcelona metro. Each of these rides is under 5 euros. For those who arrive late in the day and aren’t willing to explore Barcelona at night so soon, taxi can come in handy. 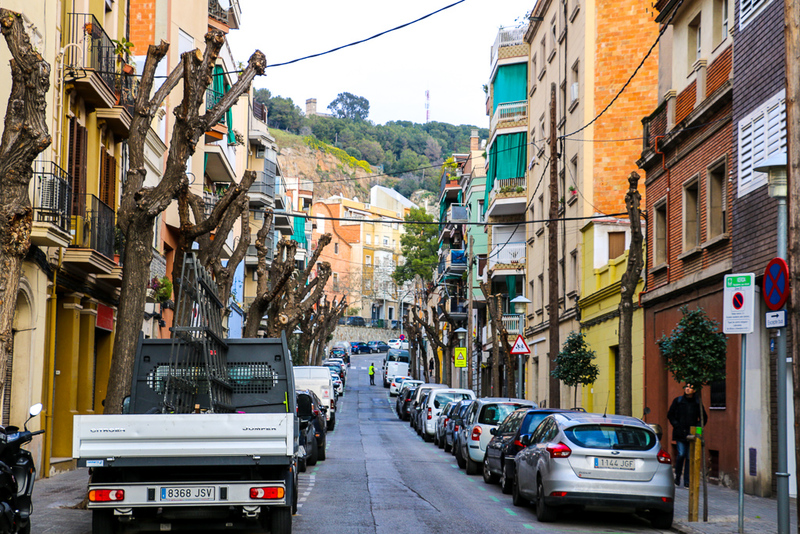 It’s by far the fastest way in this quick guide to Barcelona to get to the city center. It takes approximately 25 to 30 minutes. The price though is higher, ranging from 30 to 45 euros. Uber is also available in Barcelona. But unlike in, for example, Los Angeles, it’s usually pricier than the old-fashioned taxicabs. Moreover, you might want to dismiss Uber as your transit option in Barcelona if you travel with a baby. By law, Uber drivers must have car seats when carrying young passengers. Majority of them, unfortunately, don’t possess such valuable thing. Barcelona is a very walkable city. You can tick off all your points of attractions without resorting to public transport services. Furthermore, exploring the city on foot has additional benefits. Without your knowledge, you might encounter some of the hidden gems that are not so uncommon in Barcelona. If walking is not your favorite cup of tea, public transportation will make your stay in Barcelona hassle free. Besides being very reliable and frequent, buses and metro trains here are the cheapest way to get around. One-way ride costs 2.60 euros. For those who plan to ride public transport a lot, a day pass with unlimited rides for 10 euros is a way to go. And, of course, you can always take a taxi or Uber. But who wants to spend so much money for this luxury transport? Barcelona is a walkable city, although different types of transportation are readily available. A quick guide to Barcelona wouldn’t be complete without mentioning some of the best things to do in the city. 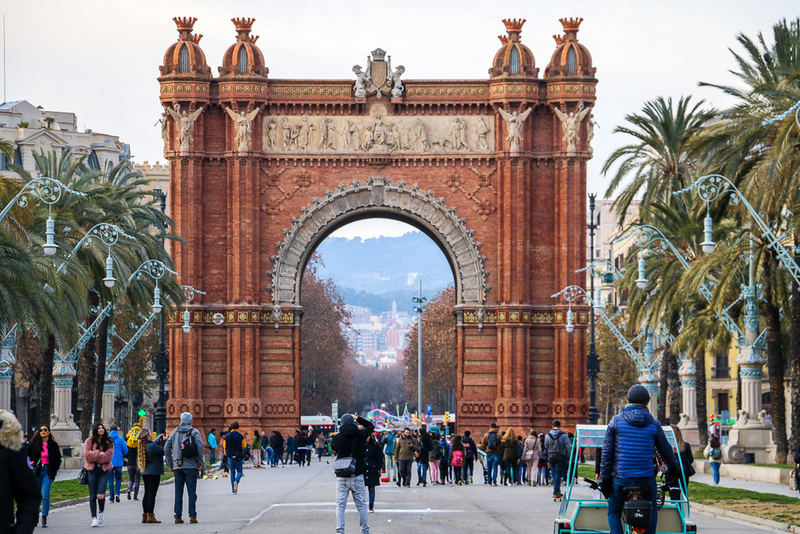 Whether you spend a couple of weeks, a few days, or quickly passing through Barcelona, you will find plenty of activities to keep you busy and entertained. From its famous parks and squares to unique, colorful architecture, Barcelona won’t let you stay indifferent and unimpressed. Barcelona is a city with a hint of fiesta in it. Easy-going spirit of this city is depicted in its every part and corner. Even Barcelona’s architecture with its brightly colored, unorthodoxly shaped structures shows the same fun-loving nature of the city. Wandering the streets of Barcelona, you will be amazed by its tall buildings with cute balconies, majority of which are loaded with beautiful flowers in colorful pots. These architectural arts will remind you a lot of Paris. However, in additional to the perfectly lined-up buildings with the windows with green roll-up blinds, Barcelona architecture portraits unique playfulness and fun. You can see it in different colors, styles, and different architectural techniques. The best examples of such uniqueness and unprecedentedness include Casa Batllo, Casa Milla, and trademark of Barcelona, La Sagrada Familia. After fully enjoying these famous sights, follow recommendations in this quick guide to Barcelona and let yourself get lost on the streets of the city. 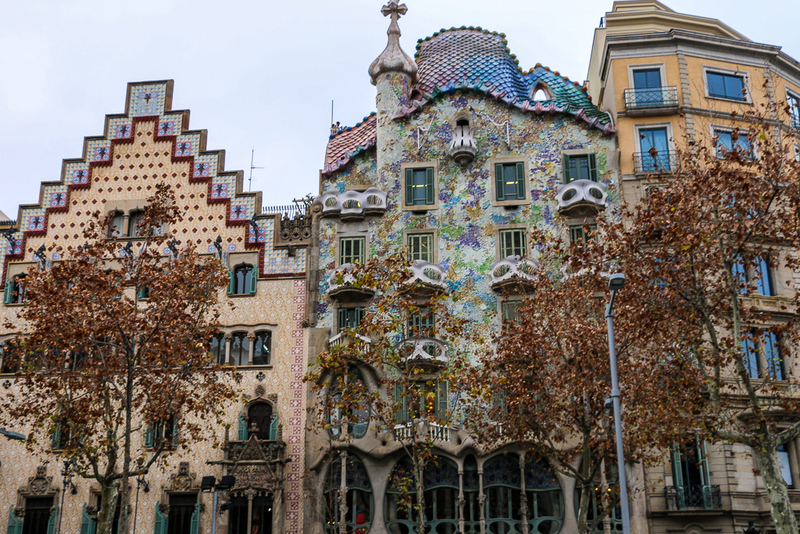 There is no doubts, your personal architectural tour will lead you to other, not less impressive gems such as Casa Vicens Gaudí, Gaudí House Museum in Park Guell, Casa Amatller, and Casa de les Punxes, just to name a few. 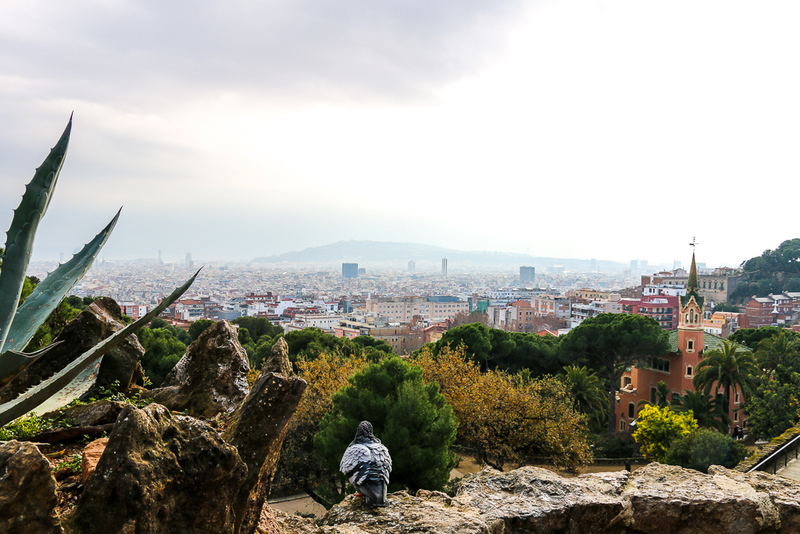 Visiting Park Guell is an absolute must in this quick guide to Barcelona. Nowhere else in the city, you will find so many things to do and see in one place. Start with wandering through El Viaducto dels Enamorats while listening to Spanish tunes and watching flamenco dance masterly delivered by street performers. Don’t forget to venture to Passeig de las Palmeras and Austria Gardens for a nice walk among big trees and unusual columns. But above all, make sure to enjoy incredible views of Barcelona from beautiful main terrace, the heart of Park Guell. If you visit the city in winter, then this stop in our quick guide to Barcelona might not be something you want to do. However, summer is all about beaches and beach activities on the shore of the Balearic Sea. With the most popular summer destinations just 15-minutes walk from the center of Barcelona, a perfect summer vacation is guaranteed. Some of the best beaches to soak up the sun and swim in the sea include Barceloneta Beach, Sant Miguel, Sant Sebastia, Somorrostro, Nova Icaria, and Mar Bella. 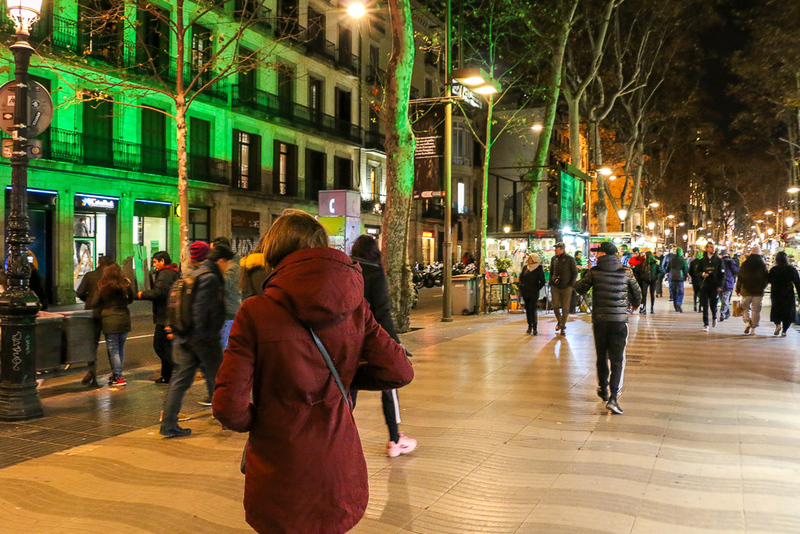 As one of the biggest and busiest streets in the capital of Spain’s Catalonia region, we couldn’t avoid including La Rambla in this quick guide to Barcelona. Filled with numerous shops, markets, and restaurants, it’s a great place to spend a couple of hours before swirling to nearby areas and squares of the city. Located just east of La Rambla, Gothic Quarters surprise with ample narrow medieval streets. Wandering this area is the best way to learn authentic Barcelona and buy some memorable souvenirs from small gift shops. Moreover, Gothic Quarters can easily win your heart as one of the most photogenic places presented in our quick guide to Barcelona. 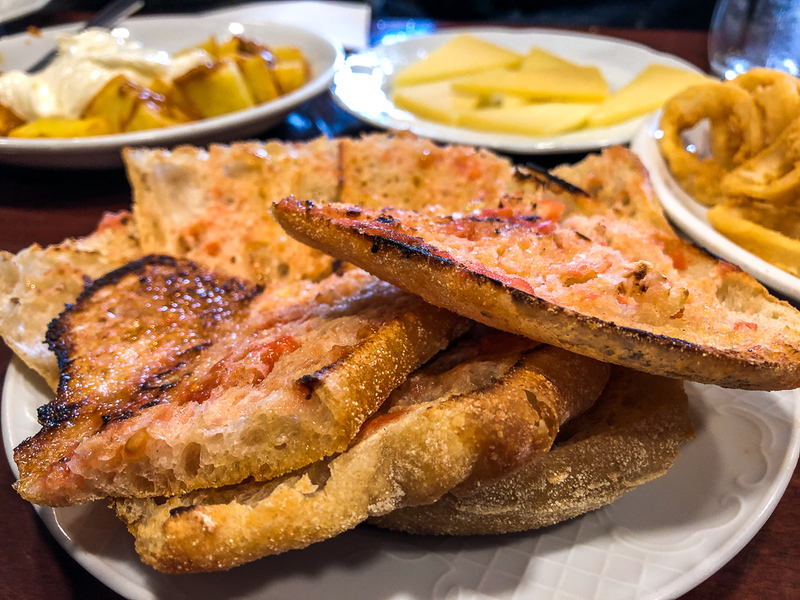 When in Barcelona, don’t shy away from typical Spanish food (although other cuisines are widely available). Without even giving it a second though, make sure to add Tapas and Paella to your lunch or dinner. For inexpensive local Tapas in Park Guell area, swing by El Mirador del Carmelo. Veggie Garden, Arc Iris, and Armonia will accommodate vegan and vegetarian travelers exploring the streets in the heart of Barcelona. You can find tapas at almost every restaurant in Barcelona. Barcelona’s sights, the hotel boasts affordable prices, the most welcoming staff, and small, yet comfortable rooms with great street views. The major attractions are located in the center of Barcelona. As a bonus to this quick guide to Barcelona, we’ve included a few general tips that will make your visit more enjoyable. Be aware of pickpocketing and wear your purse of bag in front of you. We didn’t experiences any issues with it but heard about many people who did. It’s preferable to speak Spanish when visiting Barcelona. But if you’re like me and have a rather limited Spanish lexicon, English will pave your way through the city. Finally, make sure to have Euros since it’s the currency that is used in Spain including Barcelona.